Since a few people mentioned it in the main thread, I thought I start one especially devoted to it. I agree in that Q Magazine will probably give it 4 or 5 stars. The NME will no doubt be very supportive as well. It's websites like Pitchfork that tend to be a little more random. Last edited by He's So High on 02 May 2015, 09:27, edited 47 times in total. 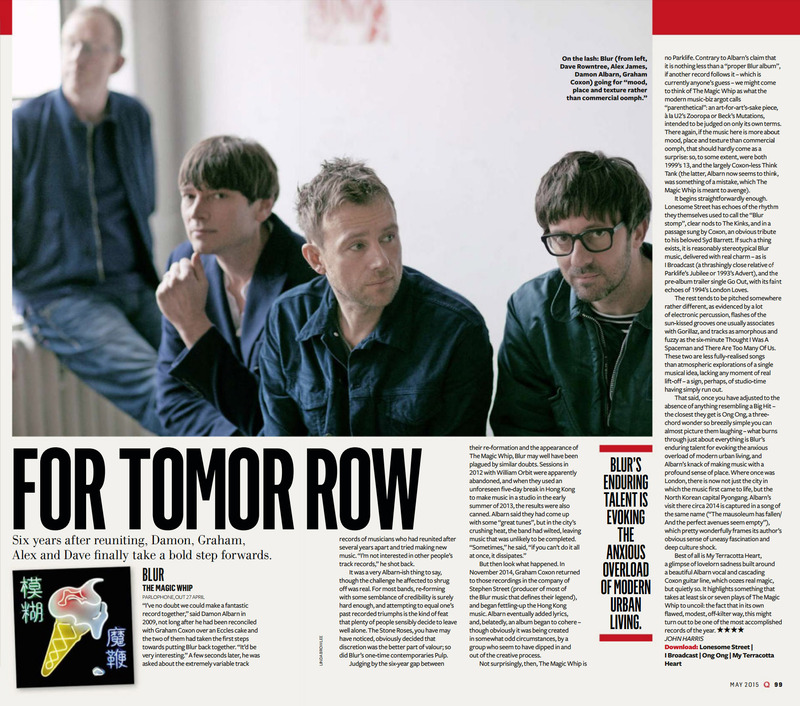 Pitchfork love Blur all the same. Their reviews are compelling though I feel. They do unnecessarily hate some great music sometimes. 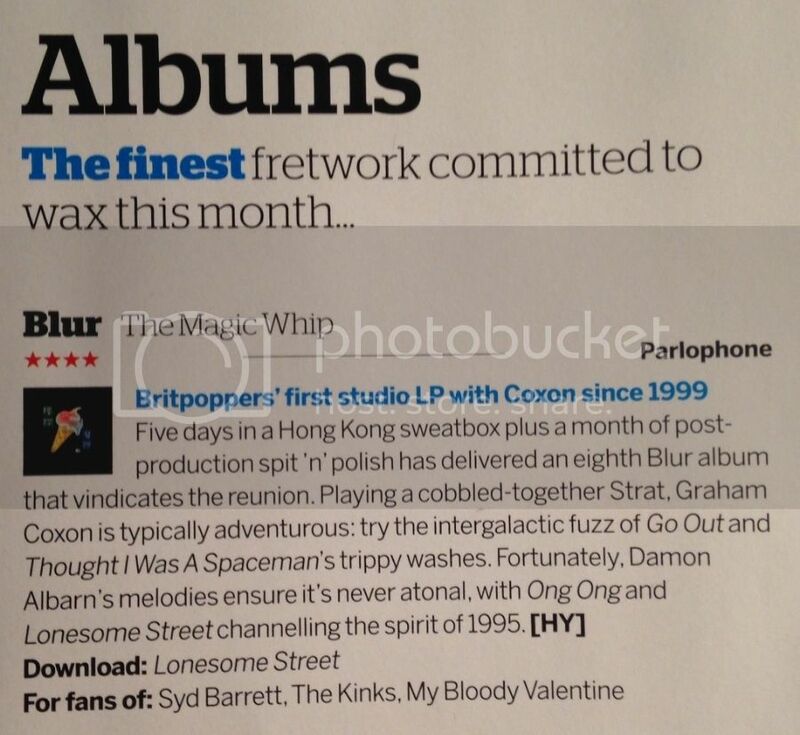 Yeah, they gave Blur 21 a pretty good write-up, and the Midlife compilation. They weren't so hot on Everyday Robots, though. They don't hold Graham's solo work in that high a regard overall either I don't think. 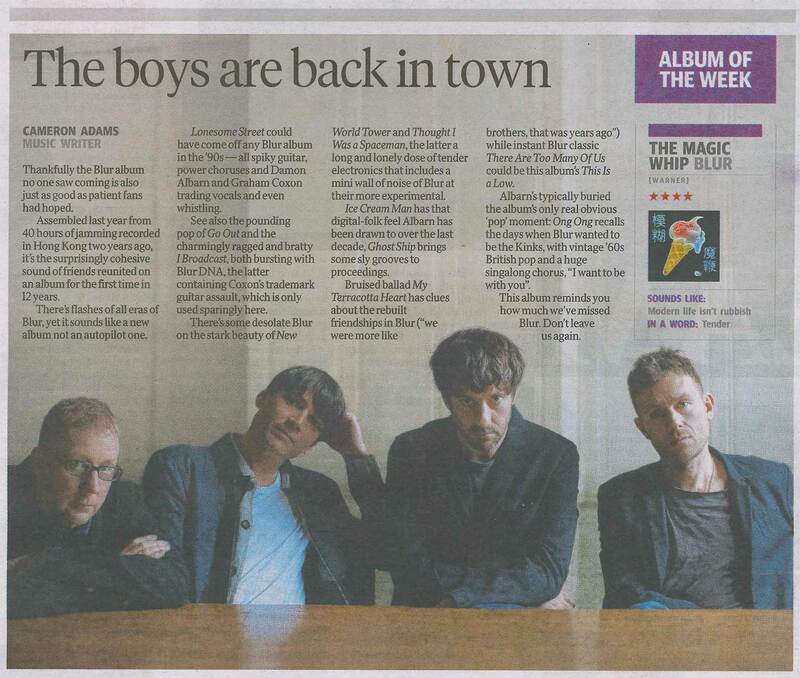 Apologies if this has been reported elsewhere but I think I've just seen the first official review of the new album. It's in the new (May) issue of Uncut. Before we get too excited, Everyday Robots pretty much got 8/10s (or 4/5s) across the board. Nice, very nice! Although the same score as Everyday Robots? You're having a laugh. ER got some pretty decent reviews though. I appreciate you may not agree with them Tom, but it did. That's because it was great. Compared to The Magic Whip?? I think not! tom_cas1 wrote: Compared to The Magic Whip?? I think not! Ah probably not (haven't heard The Magic Whip properly yet of course), but I thought it was great. Thank you! I'll look forward to reading that later. Thanks for posting. Great read, especially Graham's interview. Pyongyang is gonna be a belter huh? I probably sound a bit churlish, demanding outstanding marks from everyone, but I'm not quite sure why that review only gives it an 8/10. I didn't really see any negative comments. I actually think we might get quite a lot of this; reviewers too scared to give this a particularly good or bad grade, in case they're massively wide of the mark in terms of the general consensus. This is probably true for most albums, but particularly high profile ones like this. No way is it the same ranking as Everyday Androids.